$5 dollars and a jug of rum was the price of naming rights when Grafton was renamed in 1791, the same year Vermont entered the Union. Samuel Spring was already selling spirits on the site where the Old Tavern now stands, but over time the enterprise added a hotel. A popular stopover on the Boston-to-Montreal and Boston-to-Albany routes, Grafton Inn hosted the likes of Rudyard Kipling, Ralph Waldo Emerson, Oliver Wendell Holmes, and Henry David Thoreau. 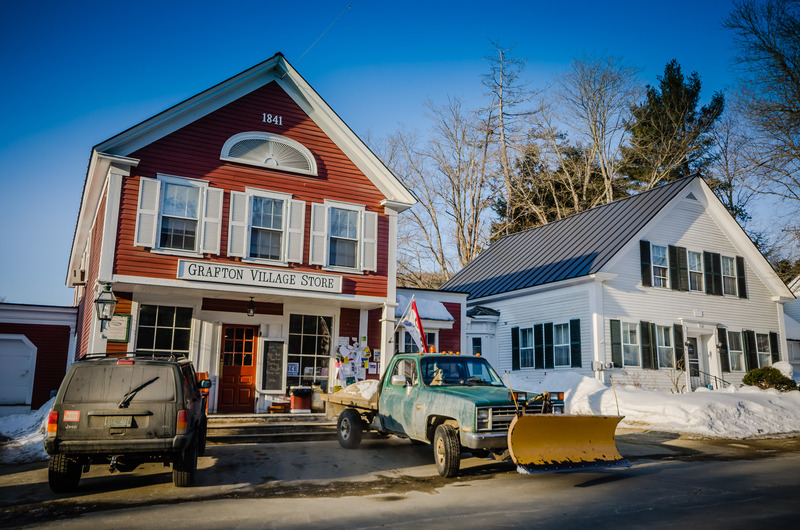 Nowadays Winter visitors to Grafton, VT find history, community ties, and some of the USA’s most magical snow terrain. 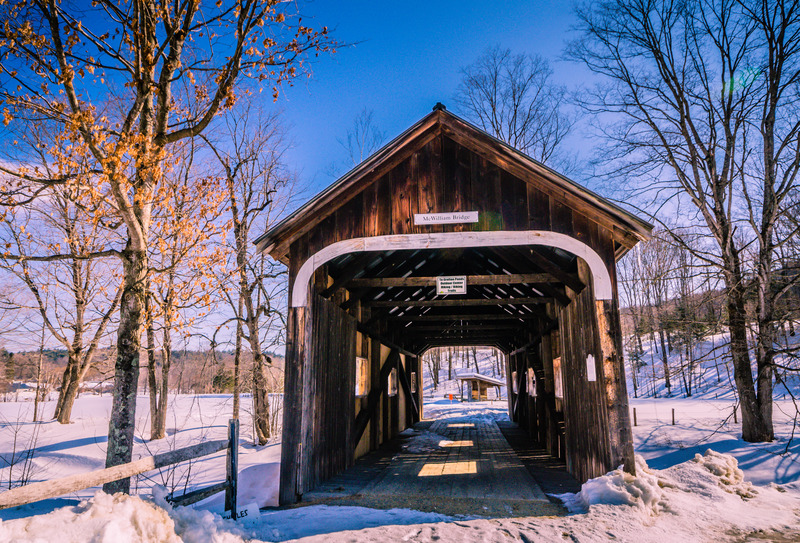 Covered bridge at Grafton Ponds Outdoor Center in Grafton, VT.
HIKE/NORDIC SKIING: Winter fun at Grafton Ponds Outdoor Center runs the gamut: FAT biking; dog sled rides; tubing on 600-foot run; snowshoeing over 10K trails, even Wine & Cheese Snowshoe tours; plus cross-country skiing at one of Southern Vermont’s best Nordic areas. Winter season December 15 through March 14th. 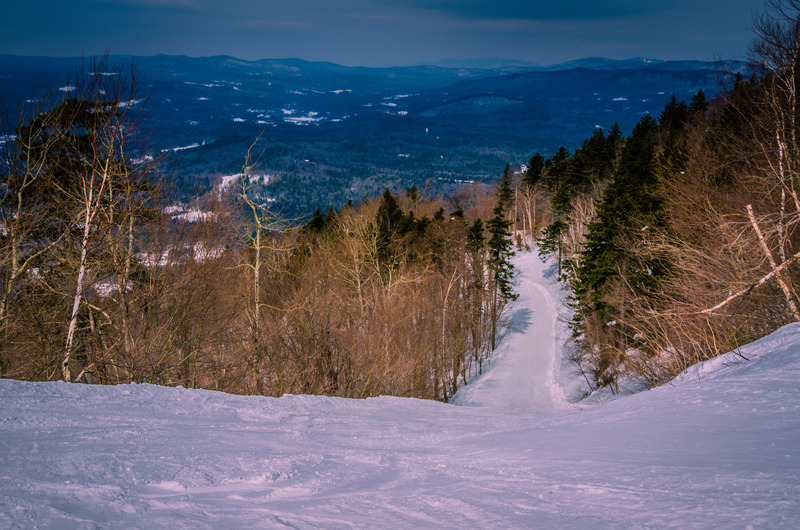 Mystery trail at Magic Mountain Ski Area in Southern Vermont. SKI: Nothing but corduroy packed powder lay ahead on a trail named, “Mystery.” My son and husband had ditched me in favor of double-black-diamonds, and only the wind whispered in my ear as I leaned over the jumpoff onto the intermediate trail at Magic Mountain Ski Area in Londonberry, Vermont. It was 2 o’clock, well into a bluebird day on a Winter weekend, but pristine snow belied the presence of skiers. It’s not unusual to have ski trails all to yourself, even in peak season. Open Thursday thru Sunday, all Holiday Periods and any Monday, Tuesday or Wednesday following a snow storm of 6″ or more in Season (December-April.) 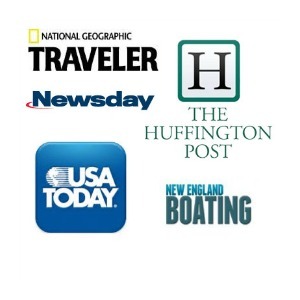 Tubing, lessons, and rentals available. Skiing the glades at Magic Mountain. 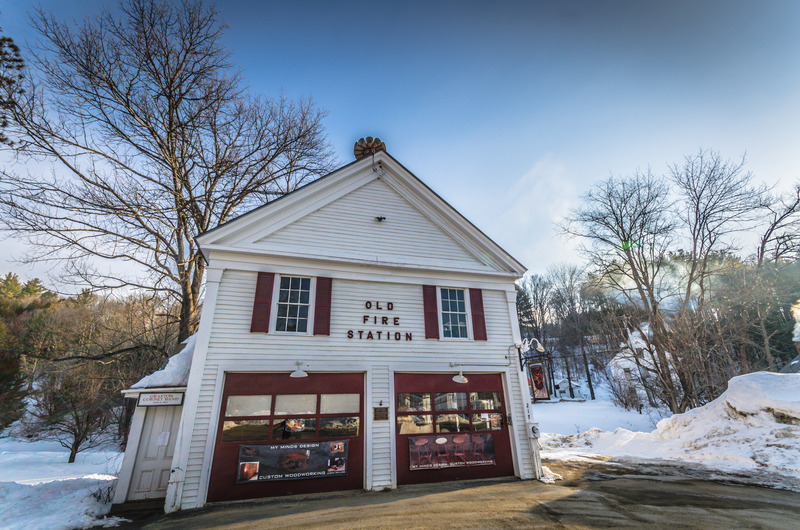 SHOP: Buy cheese and specialty food items at Grafton Village Cheese, one of Grafton’s earliest businesses. Founded in 1892, in the days before refrigeration, local dairy farmers formed a cooperative to turn their surplus milk into cheese. Open daily 10-5; on select days watch cheese being made at the production facility nearby. Can you spot the dog guarding the snow plow, motor running, while his human picks up a cup of Joe? EAT/SHOP: Grab a cup of coffee and check local flyers at Grafton Village Store where you can also stock up on staples and Vermont products. VISIT: Environmental education and the Fairy House Festival draws visitors to Grafton Nature Museum. Hands on exhibits focus on the region’s plants, animals, and geology; outdoors, explore hiking trails and “the cave,” a historic rock structure created in the early 1900s. Indoors, Free admission, open on Thursdays and by appointment. SHOP/VISIT: Observe the ancient art of blacksmithing at Grafton Forge as practiced by master craftsman, Aaron Anderson. The shop houses a rotating exhibit of historic tools and artifacts; home and garden ironware available for sale also on display. 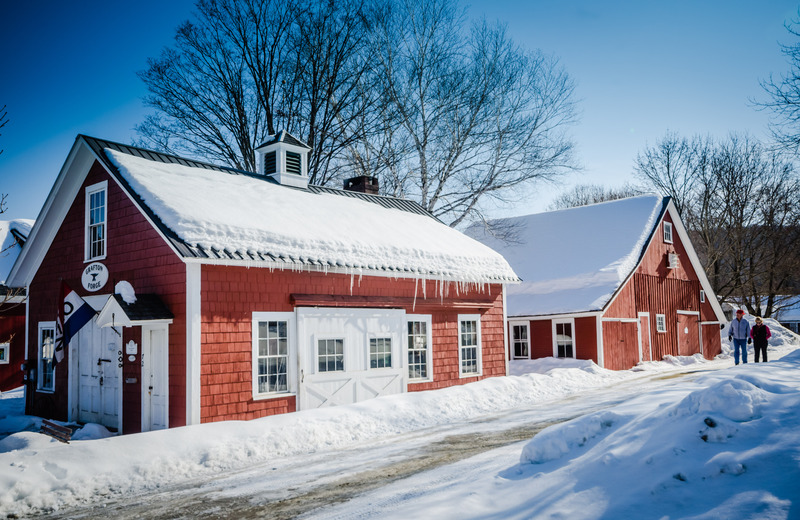 SHOP/SUGAR HOUSE: During sugar season (mid-February through mid-April) stop by Plummer’s Sugar House to see sap turned to Vermont’s finest maple syrup. Gift shop is open 7 days a week year round, free tour of house with any purchase. My Mind’s Design located in landmark Old Fire Station. SHOP: Housed in Grafton’s historic fire station, Jason Ballard’s woodworking studio carves out whimsical heirloom furniture. Open Monday-Saturday, by chance or by appointment. 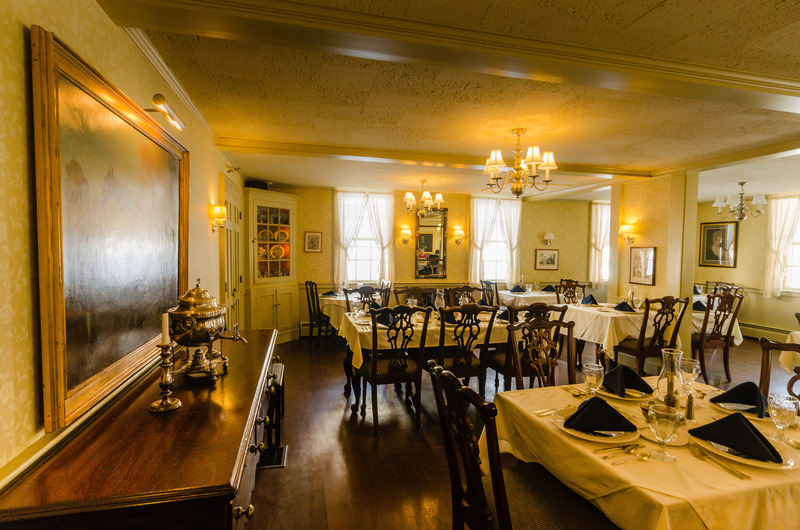 EAT: Surprisingly affordable farm to table fine dining at historic Old Tavern Restaurant, served in period rooms at Grafton Inn. 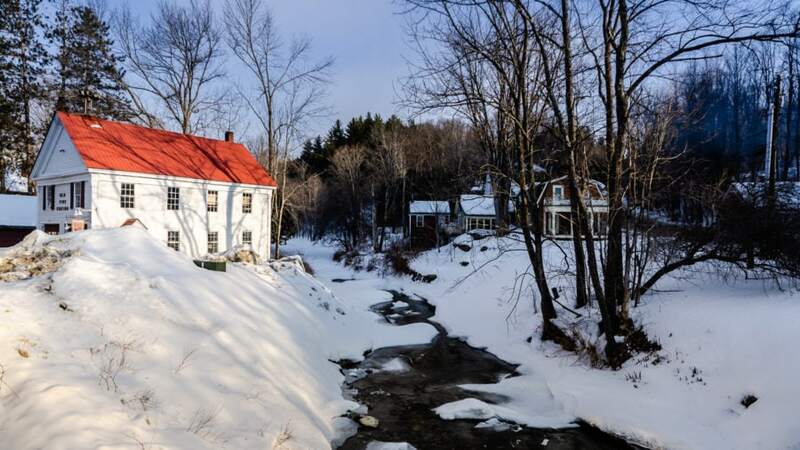 Full Vermont Country Breakfast, complementary to hotel guests, includes a very generous entree, as well as homemade muffins served and cream served in fine pewter accompanied by decorative butter and fresh jam. To get a sense of the deliciousness to be had, check out a few house recipes. 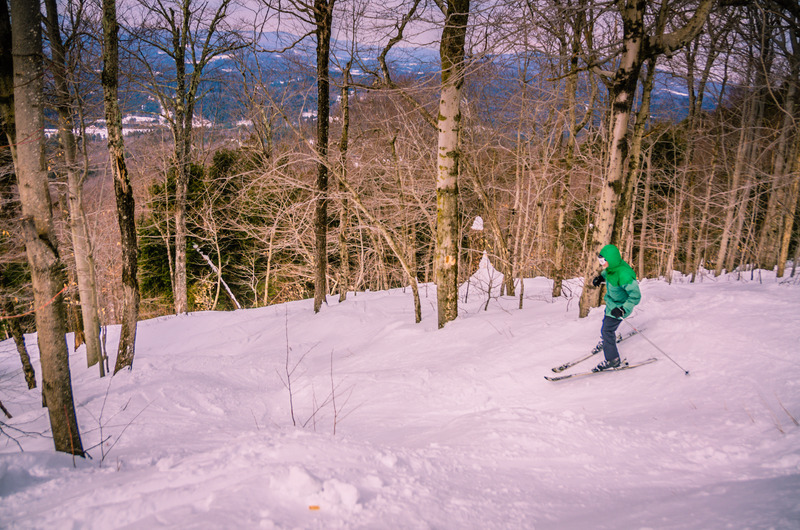 EAT/DRINK/NIGHTLIFE: On the top floor of Magic Mountain’s lodge, Black Line Tavern faces e ski and tubing trails (perfect for parents taking a break while kids play.) Hearty entrees–e.g. Chicken Pot Pie and Tuna Melt–and Friday Taco Bar, plus a laid back après-ski scene. 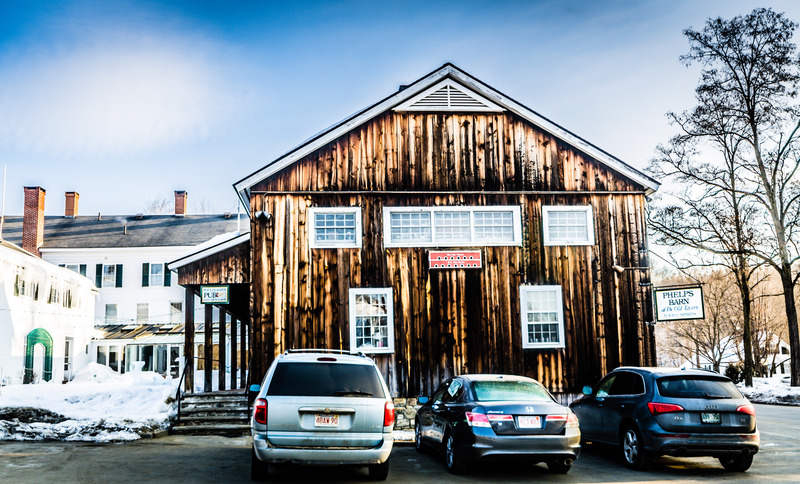 Entering Grafton Inn is like stepping back in time at a very well-preserved historic museum where it’s OK to sit on the furniture. 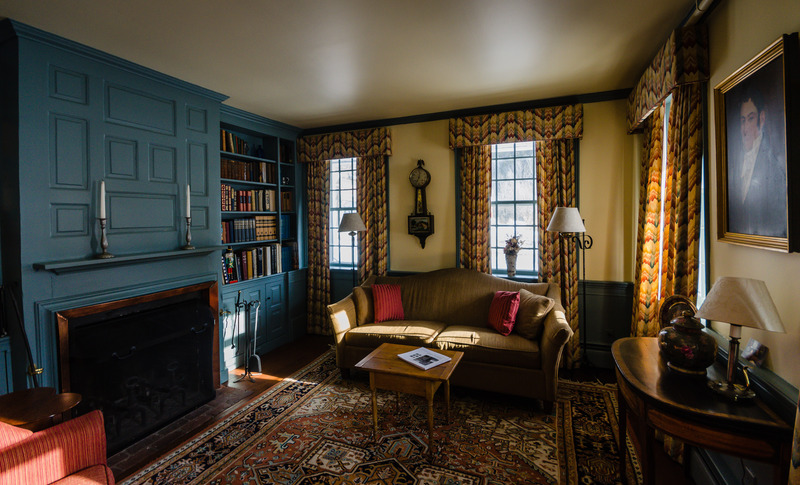 Small-scale rooms, as was typical of early 19th-century architecture, feature rich blue wall paneling, leather-bound books, and gilt-trimmed portraits. 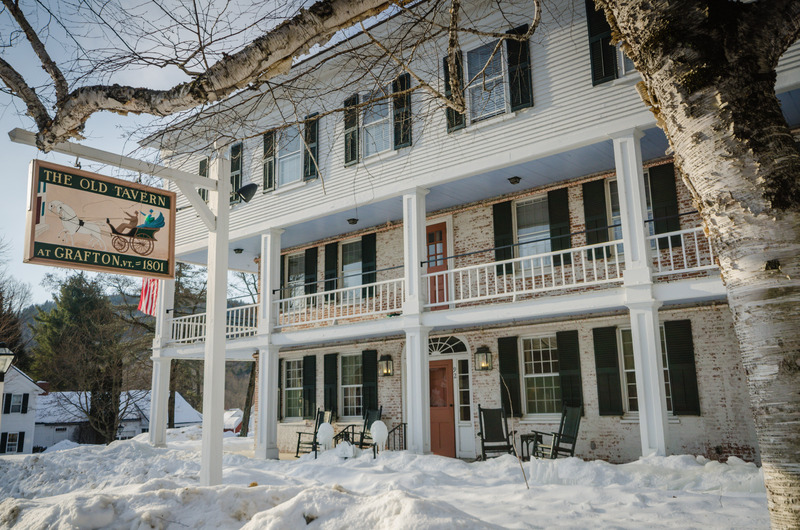 Run by the Windham Foundation, committed to preserving and promoting Vermont’s rural communities, the Grafton Inn is a great example of a historic inn that doesn’t skimp on modern comforts. 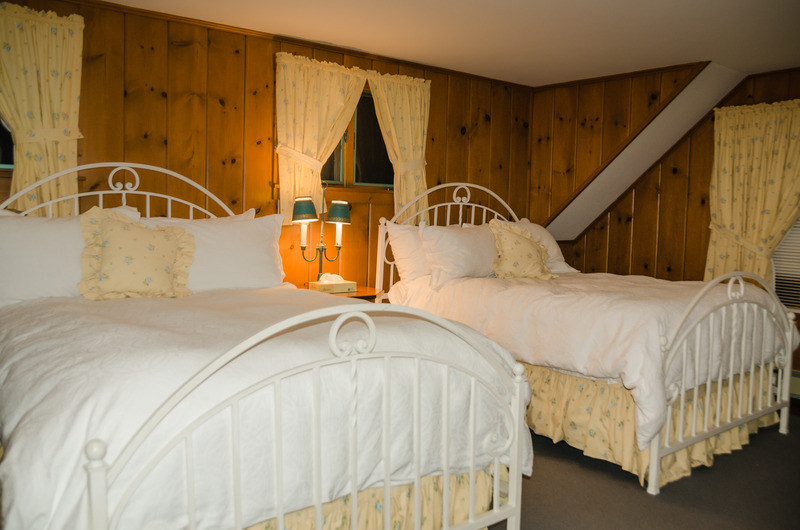 Grafton Inn offers guest rooms in the Main Tavern, as well as in multiple annex buildings spread about town. Our room, a Village Room with 2 double beds, was housed on the second floor in the Woodard House (circa 1874.) The upstairs housed two rooms with 1-2 more rooms on the ground level; common areas included a full kitchen, dining room, and TV/living room. Grafton Inn Village Room at Woodard House. The guest room itself was very spacious, while an entrance alcove provided space to store luggage out of sight. Beds were comfy, with fluffy comforters and better-quality linens. Extra pillows and blankets were stored in a closet. The bathroom, adorned with a cheery colonial print wallpaper and country lace curtains, was more than adequate, while the stash of free toiletries was both eco-friendly and pleasant-smelling. Winter rates $119-$275 per night includes complementary full country breakfast and Grafton Ponds trail use.